First, the recipe looks incredible. "July is a sultry harlot, dancing on parched lawns with her pipes and tambourrines, unfurling ribbons and charm." 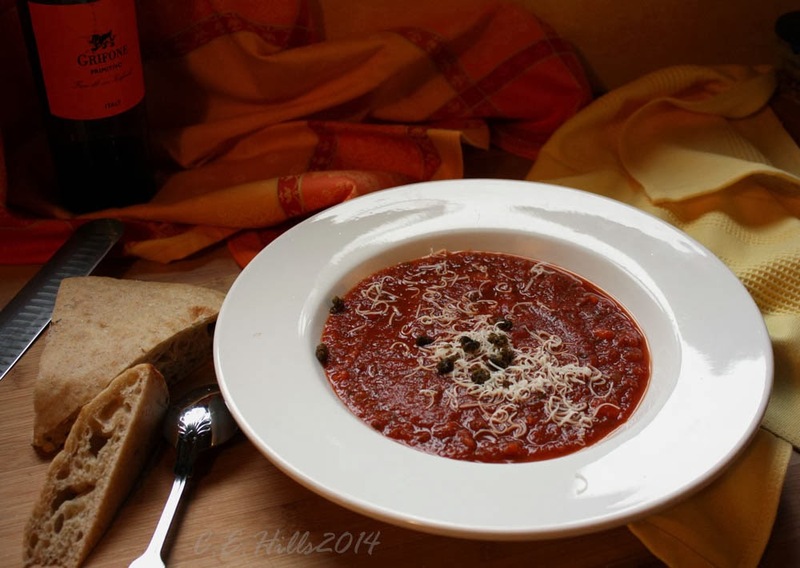 I never thought about adding capers to tomato soup.... I will next time. Sounds delicious. We're having the same weather. 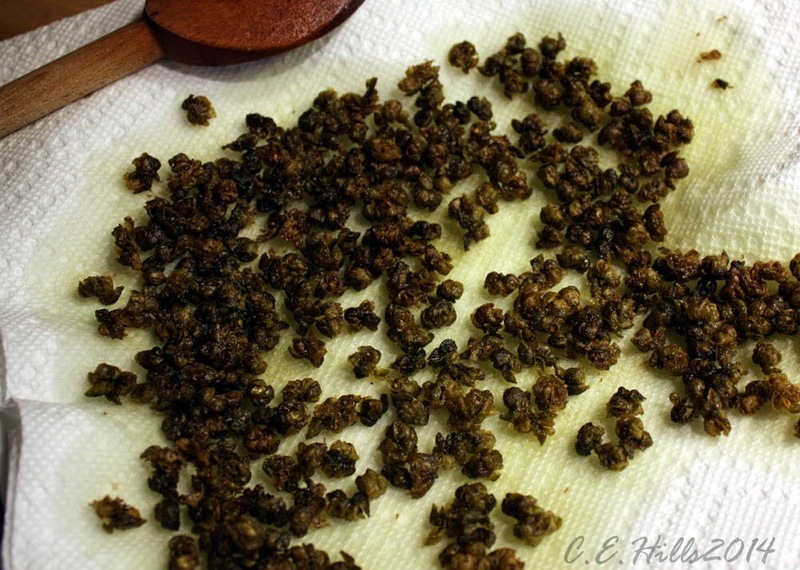 I have never thought of frying capers. I like the top photo: I think it gives a good sense of how comforting the soup is.